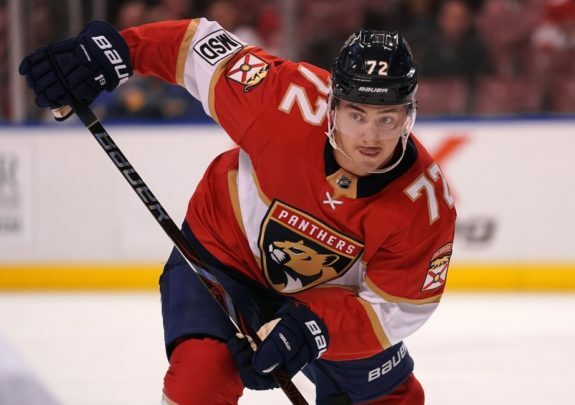 Prior to being dealt to the Florida Panthers at this year’s trade deadline, Frank Vatrano had played 25 games for the Boston Bruins this season. In those 25 games, he amassed just two goals, skated to a minus-3 and rarely saw more than ten minutes of ice time per game. Meanwhile, since becoming a Florida Panther, Vatrano has four points (three goals), is plus-3 and is averaging nearly thirteen minutes per tilt. While it may be a small sample size, and still not All-Star caliber statistics, Vatrano is settling into a legitimate role with the Panthers. For some players, a new organization is what they need to spark their careers. Whether they are a household name, or a guy like Vatrano, a change of scenery can make the difference. As fans, we tend to hate on players on our hometown teams (I’m definitely guilty of this) but every player in the NHL has talent. They simply would not be there without it. The Bruins parted ways with the immensely talented Phil Kessel in order to draft All-Star Tyler Seguin 2nd overall in the 2010 NHL Entry Draft. Following that, Seguin produced a mere 22 points his rookie season. The following two seasons, he posted 67 points in 81 games and 32 points in 48 games, decent production but far from the numbers expected of him. 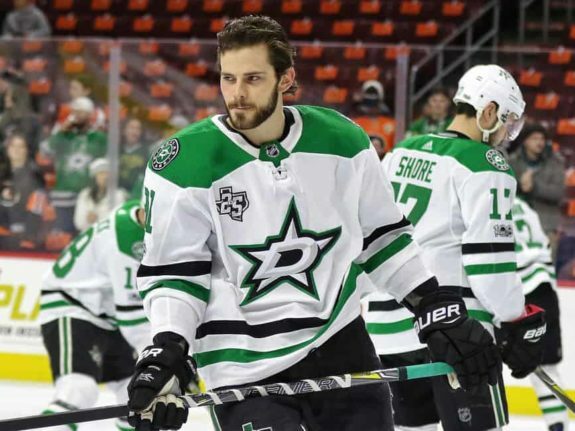 After underwhelming for three years and some off-ice concerns, the Bruins opted to trade Seguin following the 2012-13 season, sending him to the Dallas Stars in a blockbuster deal. What followed is depressing for Bruins fans but proves the theory that different teams and different coaches can uncover the best in players. Since joining Dallas, Seguin has become one of the most dynamic and dominant players in the NHL and has had at least 70 points in every season. Vatrano’s career has been inconsistent and his future in Florida remains far from guaranteed. Unlike in Boston though, the Panthers are making room for him to be an impact player. Having given up a third-round pick to get him, Florida has set him up with Jared McCann and Jamie McGinn, players known for their two-way style of play. 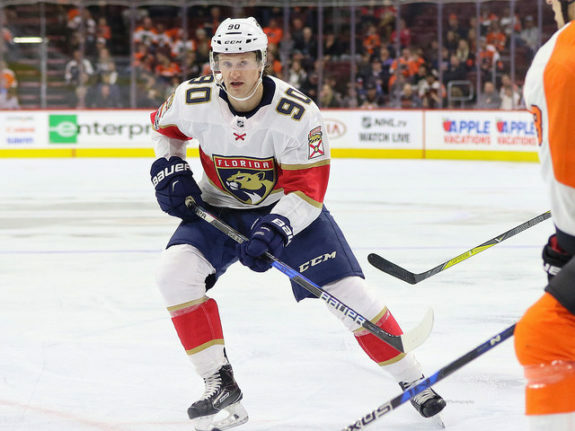 When comparing his Panthers linemates to his fourth line role (when in the lineup) in Boston, it makes sense why his time in Florida has started off strong. For as much as success in the NHL is about talent, it is also about opportunity. Anyone who plays with McCann and McGinn versus Tim Schaller and Sean Kuraly in Boston will increase their production. Even if Vatrano stayed on the third line the entire time he is in Florida, McCann and McGinn present more room for growth than his previous circumstances. Vatrano is no Seguin or Kessel for that matter but perhaps all he needed was a chance. In Boston, he was never given the opportunity to be a top-nine forward on a regular basis but in Florida, head coach Bob Boughner is giving him that chance. In a sport in which confidence is critical, if Boughner and his staff can help Vatrano build his, then he may reach a level not seen since his college days at the University of Massachusetts Amherst. Perhaps what is most appealing about Vatrano and why he may be a good fit in Florida’s long-term plans, is his skating ability. The Panthers are built on speed and skill, and they have assembled a roster that exemplifies that. At 5-foot-9, 200 pounds, Vatrano is not a big body or power forward but his swift skating ability makes him dangerous. As the NHL continues to gravitate towards a fast-paced game, it’s the smaller players whose value is increasing. There is still room for grit and the typical “fourth liner” but the best teams are building their rosters, from top to bottom, around speed. No longer is there roster space for players who contribute via penalty minutes rather than on the scoreboard. Whether or not Vatrano makes a difference in the long run and becomes another player the Bruins regret trading remains to be seen. Yet, if the early stages of his Panthers career exemplify the future then maybe he is a guy who puts them over the edge.